Asian-American actors and singer-songwriters Dia Frampton and Travis Atreo star in new Wong Fu short film “Crossing Point.” 3/27/2017. “Did you watch Dia’s new video?” my brother asked me. “It’s pretty emotional,” he warned. A few minutes into the video, I felt a silent pull. The quiet piano sequence that entered as Janice (Dia Frampton) began to tell Shawn (Travis Atreo) about how they met gave me goosebumps. The film, written and directed by Philip Wang of Wong Fu Productions, follows the trajectory of the two’s relationship — from how they first met, how giddy he was when he first saw her, how distant and careful with her heart she was, and how their feelings for each other grew. It’s a beautiful ode to people in relationships and the point at which it dissipates — the crossing point, the point at which one’s needs and wants are not being met by the other and the need to make a decision as to where they’re going to go and where their levels of investment are crossing a line. I don’t know about you, but I feel like everything Frampton creates or is a part of hits a strong chord with me — almost like she is speaking for me and her life is mimicking me more than I would have anticipated (which scares me). As a longtime fan of Frampton, this is some of her best acting I’ve seen to date. And for good reason. Crossing Point captures the perfectly real, everyday struggles of a relationship. When interest slows down after “the chase,” one begins to settle, another questions their motives and they begin to wonder how much effort they are putting into making the relationship work. How do you find the balance between being patient to your partner’s needs while also saving your relationship? How do you respect her guardedness and “pretending to not care” when she’s learning to open up? And how do you respect his distance when she begins to get closer? I was not expecting to get as emotional as I did while watching this video (my bawling eyes and tears were pretty embarrassing), but as Wong Fu makes clear to us in the video, there comes a point you need to face the facts and communicate. Stand up for yourself and your feelings. Be real and upfront. Communicate your desires. A beautifully shot film with lots of heart and emotion, I’m curious. What kind of feels did this video give you? And any of you relating as much as I am? 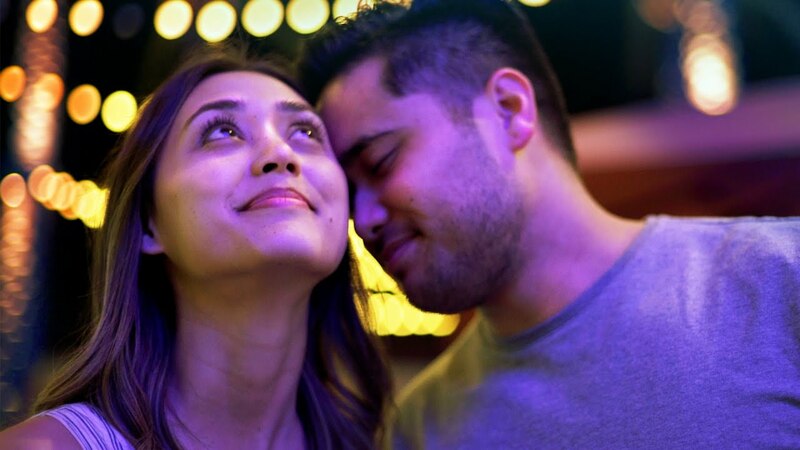 You can support and purchase the music featured in the film by purchasing Dia Frampton's newest album Bruises  and Travis Atreo's single "Somehow ," the closing song in the film. I am at this point right now with someone. I need to make the decision to have a difficult conversation because otherwise I will just keep hurting myself and end up hating him. And neither of us deserve that. Thank you for posting this. Thank you. That means a lot. I have never been good at those conversations for so many reasons but it was nice to see it played out onscreen. It helps.